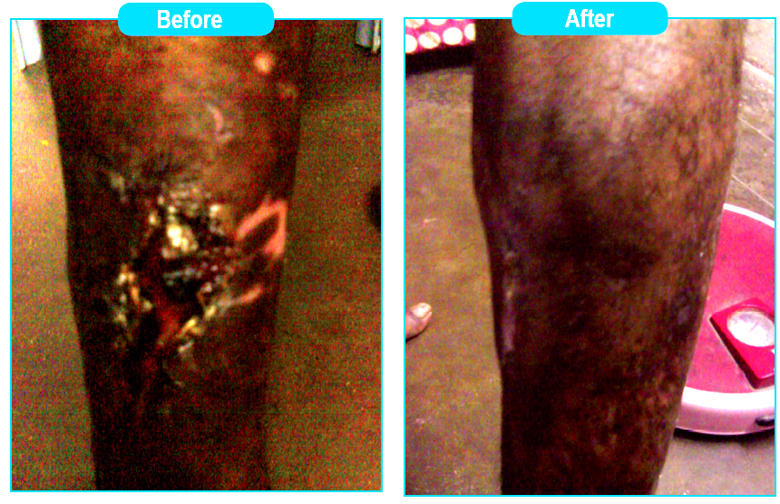 A forty five years aged male came with varicose ulcer on right leg since five years. He had severe pain with offensive discharge and itching. The patient was not able to walk without support due to pain and oozing. The complaints were more during summer. The patient had allopathic treatment for many years but not improved well. Known Hypertensive since 6 yrs under medicine. Brother having varicose vein on both leg. o Patient restless & doing things in hurried manner Trembling of both hand . Forgetfulness wants to be alone. Ulcer on right leg, with offensive discharge. Watery oozing with itching mainly at night. 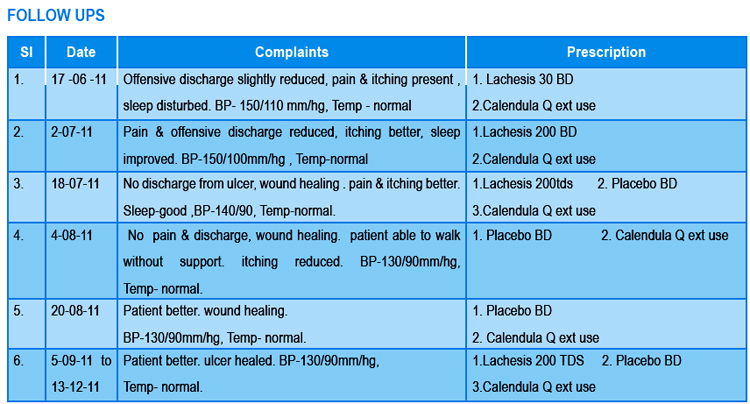 Lachesis was prescribed based on constitution and symptom similarity. Calendula Q for external wash which is a great healing agent. Pyrogenium had been prescribed for anti septic purpose. Both remedies expelled suppressive symptoms and given complete recovery to the patient.